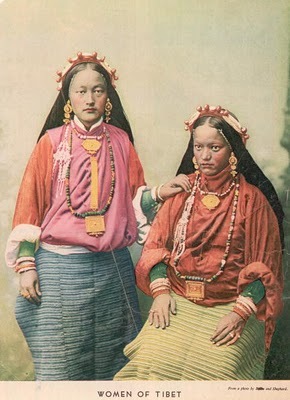 I am currently taking a class on Tibetan women visionaries at Columbia. In all my years taking Tibetan studies classes, I have never run into one focused solely on women, so I was pumped from day one! 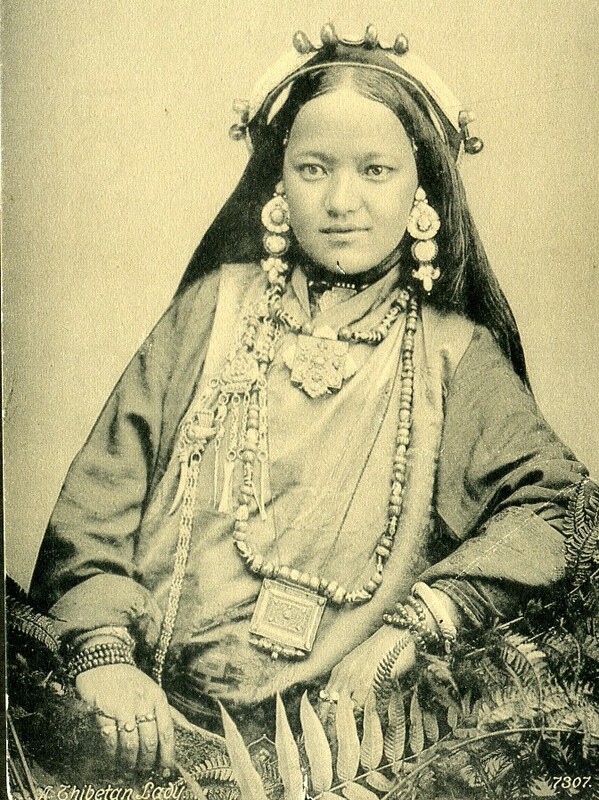 Through these last few months, we’ve read biographies and a few extremely rare autobiographies of extraordinary Tibetan women who — whether as saints, hermits, consorts, or even activists — were all rebels in their time living on the fringes of society. What I didn’t realize before was that Buddhism has been a place for women to break out of their traditional roles ever since it began along the eastern banks of the Ganges some 2500 years ago. Women, at that time of rapid urbanization, in the Age of Wanderers, were looking for a life of the mind and meditation. 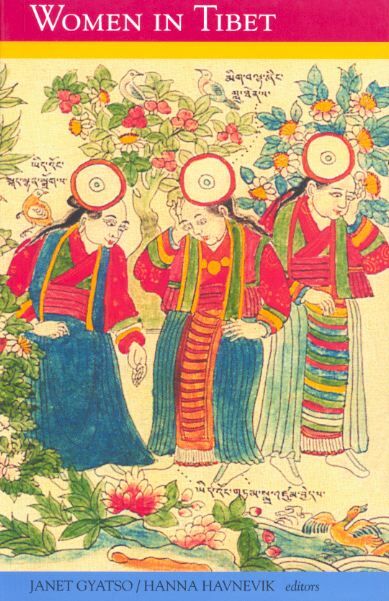 The Buddha and his gang (they were seen as a cult initially) eventually provided this space for women, and in Tibet, some women continually turned to the religion as a means of escaping a life of marriage, children and servitude to the patriarchy – a life of dependence on father then husband then son etc. We in the Tibetan community have begun to notice the lack of awareness and valorization of our hereos, our great ancestors. The ignored include the Khampa guerilla fighters (some of them still living in abject poverty in the camps of Pokhara, Nepal), and the great men who helped to build our ancient civilization (Gendun Chopel, Shakabpa, the Great 5th Dalai Lama etc.). Contemporary Tibetan heroes in Chinese incarceration are now being highlighted here. Yet while the men of Tibet are at least known about nominally, women are marginalized in our historical knowledge more so. This is partly due to the lack of documentation about women — because as relatively equal as women could be in Tibet, this was still a patriarchal society. Well, I’m not an expert by any means, but in the last few months I’ve learned that there are at least a dozen or so women we must all learn about, if only to know where we come from, who blazed these trails before us. One particular woman’s story that I want to briefly introduce to you today is Thrinley Chodron, a nun who lead a revolt against the Chinese invasion! A friend and classmate likened her to the Joan of Arc of Tibet as we discussed her biography. And this isn’t a crazy parallel either. Like Joan, Ani Thrinley, so young — around the age of 28, claimed that she was possessed by a divine entity as she led the 1969 Nyemo Revolt. This revolt appeared to begin as a fight between revolutionary factions of the Cultural Revolution. However, Thrinley Choden’s group, the Gyenlo faction, was actually targeting the Chinese. The group captured and killed fourteen Chinese cadres and soldiers and seems to have triggered a chain of revolts in neighbouring areas that were drastically repressed (Women in Tibet 168). She was from Pusum Village in Nyemo, and claimed to be the emanation of Labja Gongmo, a holy bird from the Gesar epic when she started the movement. Invoking the great epic, she attracted many followers (some 30,000 according to French Tibetologist Ann Riquier) and even named her male partners after Gesar’s counsellors. For a more materialist and skeptical interpretation of Ani Thrinley, read Melvyn Goldstein’s On the Cultural Revolution in Tibet: The Nyemo Incident in 1969. He, along with his colleagues, argue that the rebellion was not ethnically driven and that Tibetans have romanticized it as the epitome of Tibetan rebellion against China. In class, my professor talked about this academic discomfort with religious views, this inability to incorporate people’s religious views into today’s academic’s discourse. If it doesn’t fit into a materialist worldview, it must not be true! Perhaps this is a major weakness in Goldstein et al’s interpretation. I’m itching to poke around and decide myself. During a criticism session of the female Buddha. As Wang should know, there were Tibetans who resisted, and faced the full wrath of the Party. In 1969 there was widespread rebellion throughout Tibet, eventually crushed by the PLA. The best-documented episode is the revolt led by Thrinley Chodron, a young nun from the xian (county) of Nyemo, who marched her followers armed with swords and spears to the local Party headquarters, and slaughtered both the Chinese officials and the Tibetan cadres working for them. At first the Party ignored the massacre, thinking it was a manifestation of the Cultural Revolution as we know, murders could be exonerated if they fell under the rubric of class struggle. But the authorities soon realized that these Tibetan peasants were rebelling not in the name of the “newly liberated serfs” but in defence of their faith. What was more, they targeted only Chinese Party officials and those Tibetans seen as colluding with the colonizing power. The revolt spread from Nyemo through eighteen xians of the Tibetan Autonomous Region (TAR), and the Party was forced to send in the PLA to suppress it. Thrinley and fifteen of her followers were eventually captured and brought to Lhasa for public execution. Even today, the Party has expurgated this episode from the historical record as it fails to conform to their image of liberated peasants or, indeed, to Wang’s portrayal of Tibetans joyfully “casting off the spectre of the afterlife that had hung over them for so long”. Dr. Shakya la makes me rethink my reason for highlighting Ani Thrinley’s story. Thrinley Chodron is important not only because she was a remarkable woman who led a resistance against incredible odds, she matters too because she is part of a battle against the revision of our history. The Chinese have attempted a million ways to distort the true desires of the Tibetan people. Their favorite go-to is the claim that the any resistance was and is an act of the Dalai clique of aristocrat feudal landholders. Ani Thrinley, with her humble roots and her following, shows how the Tibetan people fought even in those early days against the Chinese invasion. She is a precious example of our history, and histories can only survive if we remember. Here is the video footage of 35 year old nun Palden Choetso’s self-immolation and funeral in Tawu, eastern Tibet. She sacrificed her life on November 2, 2011. Hi, this is what I wrote in my PhD thesis (minus the footnotes) on the Nyemo Revolt. It might interest you that the Ani claimed to be possessed by Gongmey Gyalmo, the celestial aunt of King Gesar, not Labja Gongmo. Labja Gongmo is the Tibetan name for a type of Grouse. Sorry for the longish comment. However, the Party Central lost control of the campaign, which dissolved into brutal factional fighting all over China between rival groups of Red Guards divided along class lines. In Tibet, the factional conflict played out between the Nyam-drel or United Front (གཉམ་འབྲེལ་) and Gyen-log or Rebel (གྱེན་ལོག་) groups. 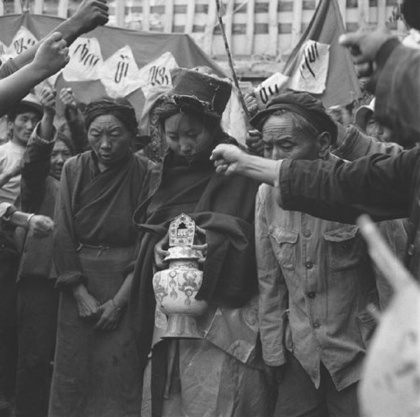 Consistent with the logic of the insecurity dilemma, even at the height of the Cultural Revolution, Tibetans exploited the factional anarchy to fight for their culture and identity. The most well-known example is the Nyemo Revolt of 1969. Beginning in 1968, Tibetans in Nyemo County (west of Lhasa), led by Trinley Chodon, a nun claiming to be possessed by the spirit of Gongmey Gyalmo [གོང་མའི་རྒྱལ་མོ་], the celestial aunt and advisor of Gesar, the mythical king in the Tibetan epic, Gesar of Ling [གླིང་གེ་སར་], rose up in a violent rebellion that spread to eighteen counties. Her fame spread far and wide because of her presumed prophetic and healing powers. Trinley and her supporters allied with Gyenlog because of its anti-establishment crusade against the Nyamdrel faction. Nyamdrel were associated with the destruction of Tibetan culture, the brutal suppression of the 1959 uprising and the enforcement of democratic reforms and most recently the commune system. With her charismatic leadership, she inspired the rural Tibetans to attack the Chinese officials and Tibetan collaborators, often with extreme brutality. Her success inspired other Tibetans to claim to be mediums of one or another of Gesar’s warrior-ministers, all claiming to be working for the restoration of Buddhism in Tibet. The revolt culminated in attacks on the PLA in a village named Bagor, where twenty PLA soldiers and cadres were killed, and attacks on the headquarters of Nyemo County. A huge contingent of PLA soldiers with reinforcements from other counties had to be deployed to subdue the rebels. The operation resulted in the death of many of the rebels and the arrest of the nun and her colleagues and a Lama who had performed the ritual, Opening the Nerve Door (རྩ་སྒོ་ཕྱེད་), to spiritually prepare her for possession by Gongmey Gyalmo. They were all executed in Lhasa in 1970. Although economic reasons definitely played some role and it was entwined with the tumultuous factionalism of the Cultural Revolution, the Nyemo Revolt was primarily a ‘cultural response’ which was ‘inspired by the Tibetan’s desire to regain some measure of social, psychological and cultural freedom.’ It was provoked by ‘the constant attack on their culture by the Chinese…. The total negation of traditional Tibetan cultural and religious authority elicited an extreme response from the Tibetans.’ The violent and relentless socialist nation-building met an equally violent millenarian cultural response. Even at the height of the Cultural Revolution, the insecurity dilemma found violent expression. Thanks for the comment Tsering la. Great to know that there has been more research done on this. I got the name of the divine entity from Janet Gyatso’s Women in Tibet. But I did notice that Goldstein used the name you used. Did Gyatso make a mistake there? I’d love to read your full text on the Nyemo, although I guess it’s pretty long. Do you have it published anywhere online? The ‘divine entity’ is ཨ་ནེ་གོང་སྨན་རྒྱལ་མོའམ་གནམ་སྨན་རྒྱལ་མོ་ (Gongmey/Gongmen Gyalmo or Namey/Nammen Gyalmo), definitely not Labja Gongmo. The latter is the Tibetan word for the bird Grouse. Ani Gongmey Gyalmo is believed to be the paternal aunt of Gesar’s previous life in heaven, who continued to assist Gesar through his dreams after he assumed his human form. *Hey Durkho, come here!î he said, and beckoned my father over. Father and I went over to them, while Jabey and Neney followed the other pilgrims. Ten wolves were squatting on their haunches higher up the mountain. When we reached the group, I saw that someone had died below the cliff. Father got off his horse and went to see the dead body. There were ten horsemen and two or three monks there, but none had dismounted, except for my father. The snow was bloody all around. My father led the horse there, so I could see the body. ìAka ka!î I thought I was seeing things! They werenít surrounding a dead body, but a living woman with a one-year old baby. Part of her scalp was missing, and her body was covered with blood. She wore a sheepskin robe with a blue and red hem, of which only a little was left at the waist where her sash held it. Flesh had been torn from her back, thighs, left and right arms by the wolves. Her muscles and tendon were clearly visible, as were her rib and shoulder bones where the wolves had attacked her. Her lungs were punctured, and her breathing was noisy. Blood oozed from her mouth. Blood and pieces of her robe were scattered around her on the grass. Her left arm held a baby close to her chest, and in her right was a belt with silver chased roundels. She stared wide-eyed towards my father. The most astonishing thing was that the baby, even though covered in blood, was silent, staring at my father with wide-open eyes. ìWhen we saw her, the wolf pack was pulling her from both sides and she was hitting them with her belt,î said one of the people standing around. ìWe fired our guns and came up to her, but no-one was able to get off their horse, and we watched from a distance.î When father went up to her she could not speak, but pointed to the baby at her chest. She showed her thumb to us and waved her hand, signalling that she wanted us to take the baby from her. Father took the baby and cleaned the blood from it. It was a little boy, thankfully uninjured. ìIf necessary I will take the baby,î Golok Wyiga said, ìthe chiefís family will look after it.î Father gave Wyiga the little boy. He put it into his robe and left with the two monks. The woman smiled, and showed her thumb to my father as they left, but tears were falling down her cheeks. There were still five or six horsemen with us. ìI promise we cannot wait for her to die,î another said, ìAll we can do is to leave her now.î They discussed many things like that about the woman. Even though the woman could not raise her head, she kept on showing her thumb to my father, and pointing to his gun. Everyone there, even me, understood clearly that she wanted him to shoot her dead. ìWell I promise we canít shoot her.î ìIf we leave her she will die slowly,î the onlookers said. ìIt would be better if we shoot her,î another said, ìif not she will be eaten by the wolves.î Still she showed her thumb to my father with tears falling from her eyes. ìYes, whatever we say itís better to end her life quickly, I think,î Uncle Mgontse said. My father took out his gun and loaded it. All the horsemen moved back. The woman watched him, showing her thumb as before. Father put down his gun. ìI promise I canít do it.î He went up to her and covered her with the torn robe. I thought to myself, ìThe Three precious Jewels! Itís not easy for humans to die like this. Maybe thinking of the baby is stopping her dying. Itís such a tragedy!î Father spoke to the woman. ìDonít worry about the boy. After you die I will take your hair to the Ganden Monastery sky burial site.î She smiled at my father and raised her thumb again. ìMan, now it is time to cut off her breath,î Uncle said, ìOm mani padme hom! It is better that way than to die a bad death by the wolves.î Uncle had not finished speaking when I head a gunshot. I looked over to her, and saw her forehead had been smashed by a bullet. Everyone chanted ìOm Mani Padme Hom!î Father took out his dagger, cut off her hair and put it into his robe. Then we rode away. I did not know what he was thinking but tears were falling from his eyes as he rode his horse. After we had rode a little further down the mountain I looked back to where the womanís body was lying. The wolf-pack was crowding around that place. I thought, ìThatís right. It was better to shoot her and save her from the pain and suffering than to let her suffer a terrible death from the wolves. A little further on I thought, ìHow hard it is to be a gracious mother. There was not enough meat on her body to cover the palm of a hand. Her upper and lower body was destroyed by the wolves. Her lungs and intestines had been dragged along the ground. However, the little boy held against her chest had not even been touched by a wolfís tooth. If I had not seen it with my own eyes, even if my mother and father had told me this I wouldnít have believed it. No-one needed to tell me about it, I had seen it with my own eyes. I saw that even though the wolves had eaten her body and blood she had held her baby to her chest. Even though she had been pulled and torn by the wolves, the baby had not been bitten once. I saw that she had signaled my father with her eyes to take the baby. After he took the baby from her arms, she was much calmer, although her tears fell too. How had she got so much strength even though she was so seriously wounded and close to death? Where had that strength come from to fight the wolves and defend her baby? It is impossible to say anything except, ìShe was a mother.î She had a great motherís great compassion and power. That was the great motherís strength and ability. That was the great motherís love and power. My father had killed people and horses, but had never before shed tears. Today tears fell from his eyes because of the womanís courage and compassion, not because he was afraid of the sin he had incurred by killing her.î I thought many things like that. Hi, I am a student of the Master in Studies of China and Japan at the Open University of Catalonia (Universitat Oberta de Catalunya, UOC) and have recently completed a schoolwork on the consequences of the Cultural Revolution in Tibet, where I speak about Ani Thrinley Chödrön and the Nyemo Incident of 1969 (in Catalan). A professor of mine has suggested me to publish it because it is the only paper on that issue in our language but, in order to do so, I would need some historic pictures of the Ani and the revolt if possible.